The problem with global growth, synchronized or not, is that it isn’t really a thing. It is a made-up concept that accompanies confusion. Why is the economy about to pick up when there is no evidence for that expectation? Global growth. It’s a nonspecific bogeyman that anyone can point to and expect little or often no pushback. It’s nothing more than a distraction, a way to pass the buck when there aren’t enough bucks to go around. The downside to such bland sloganeering is thus obvious. At some point, it has become real else you are merely buying time, and a limited allotment of time at that. Someday there may indeed be a pick-up in global growth, though we will probably need all our fingers (and some toes) to count how many “unexpected” occurrences disrupted that “pick-up” over the years to come. And when it does come, there will be no need at all for vagueness about its features, as it will be obvious and unmistakable. In a more realistic way, 2017 and 2018’s synchronized version isn’t really global at all, except by way of China. It has been assumed since early 2016 that the Chinese would do everything they could to rescue themselves, and by extension everyone else, from whatever it was that was plaguing the global scene. It was based in part on what China’s government was actually doing. But the narrative derived from a misunderstanding about why they were doing what they were doing.  The mainstream textbook says that “stimulus” is to be used to ignite recovery, as there are only two options contained within its pages – recession or growth. Proceeding from that mistaken impression, Reflation #3 took on a limited life of its own leading us to 2017’s globally synchronized growth. But 2017 disappointed everywhere, most of all in China. Already by mid-year last year, they were winding down the vast majority of the fiscal portion of “stimulus” even though it hadn’t produced nearly the results consistent with the idea (as everyone outside saw it). 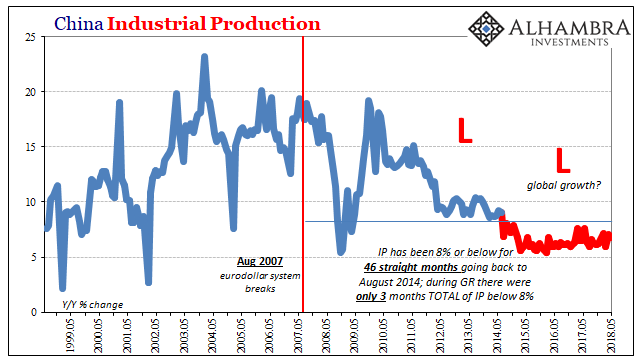 It’s one big reason why globally synchronized growth has so failed to materialize, at least as it was supposed to according to the main narrative. The risks aren’t really economic, that much has remained consistent all along, rather they apply in comparison to expectations (again, the difference CPI to PPI). It’s this more direct assault on expectations that I think is causing so much upset in the EM parts of the world first. In that same way, it reminds us a lot of late 2013. Or; stop counting on China to bail out the world economy. It’s just not happening. The latest Big 3 economic statistics (Industrial Production, Retail Sales, and, most of all, Fixed Asset Investment) for the month of May 2018 further bear that out, if not emphasize it with exclamation. Starting with FAI first, accumulated total FAI was the lowest on record last month. At just 6.1%, there is no precedent in the series dating back to January/February 1997. 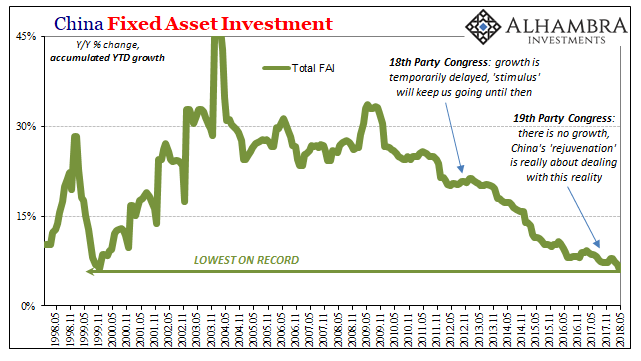 The main reason for this dramatic weakness is the near complete withdrawal of any additional FAI via the state-owned channel. I don’t think it coincidence, as noted last month, that the National Bureau of Statistics has ceased highlighting this important piece of the economic picture in its major monthly economic press release. It has been written out of the narrative, at least the Chinese narrative. 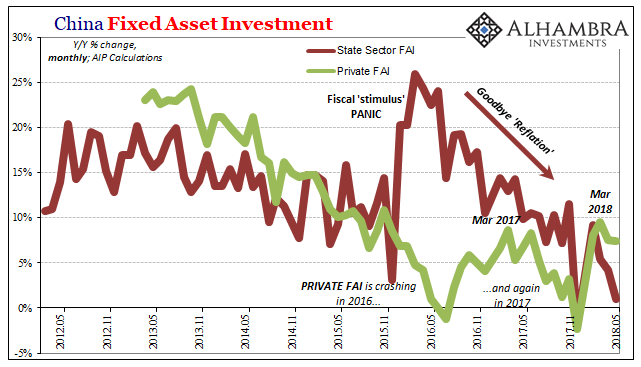 Given that private FAI hasn’t picked up at all and remains weak, investment activity is grinding to a full stop for the first time in China’s modern history. No problem, says globally synchronized growth, Chinese consumers will fill in the gap as investment and heavy industry recede in importance. Rebalancing, they claim, is a feature not a bug. Except, retail sales growth in May also dropped. Though some Economists are blaming the calendar and the weather (when don’t they?) for the deceleration, growing at just 8.5% year-over-year it was the weakest for consumer spending since 2003. It also breaks the recent range, continuing a resumed slowing trend that emerged importantly in the middle of last year. Why the middle of last year? 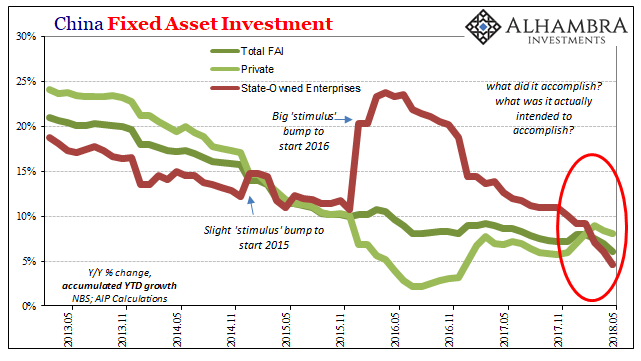 That was around the time authorities really started to pull back in FAI, their main channel of direct economic influence (so-called aggregate demand). 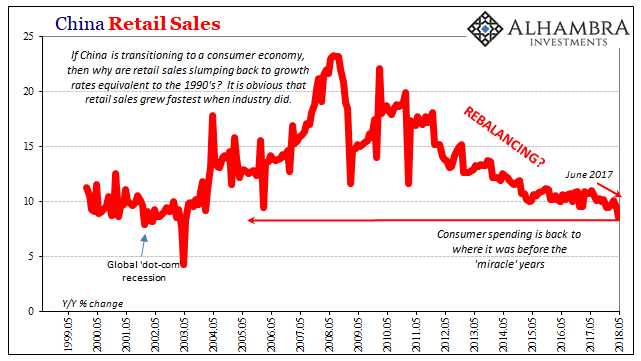 Retail sales had stabilized at least while the heaviest spending was taking place. 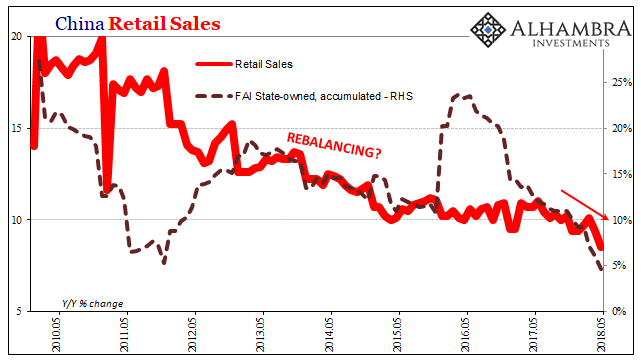 It’s not a positive commentary on rebalancing. 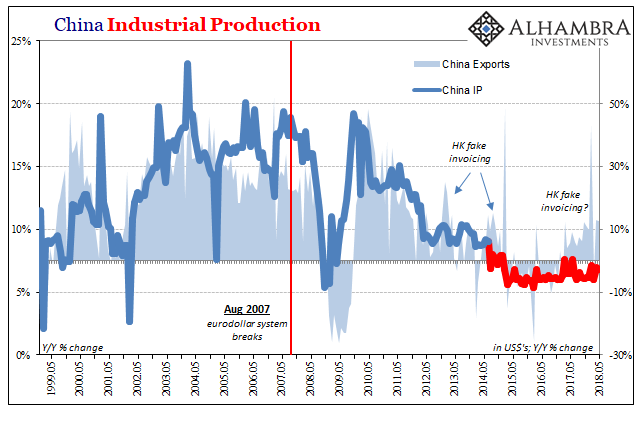 Neither is industrial production a pretty picture of global economic conditions outside of China. If China cannot rescue the world’s economy, then can global growth rescue China’s? Of course not. For the 46th consecutive month, IP grew by 8% or less. This is like FAI unprecedented for modern China. Actual global growth would not be registering only at the lower reaches of China’s various statistics. To forbid political challenge to the country’s leadership is one (potential) method for at least raising the costs of turning grave economic dissatisfaction into something more substantial. It seems more and more that authorities over there are battening down the hatches, not opening themselves up in a way that a more optimistic and bright future would lead. That’s the problem with global growth. It is a rationalization that puts everything backward. Unfortunately for many EM’s, they restarted their dollar-based (bond) business during Reflation #3 on this very premise. Thus, state-owned FAI isn’t the only thing that is now being withdrawn.